The annual British Promotional Merchandise Association Awards were held on Wednesday 30th January 2019 at Chesford Grange Hotel, Warwick, the prestigious industry event celebrates outstanding service, commitment and professionalism in the industry. 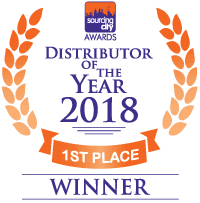 Winning the BPMA Distributor of the Year award follows hot on the heels from winning the Sourcing City Distributor of the year award in December and really starts the year off with a bang for Fluid. With the award voted on by suppliers in the BPMA it highlights the strong partnerships that Fluid have forged in the industry. 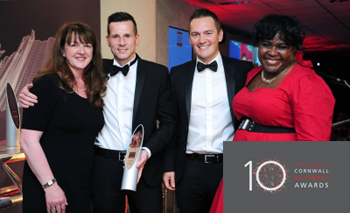 "We're blown away to win this award", says Fluid's Managing director Miles Lovegrove. "It's testament to the hard work all of our teams put in and the exceptional service we provide across the board, to win this shows we're really getting it right!". 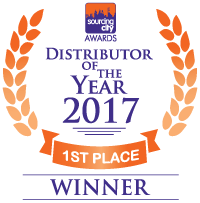 For the third year in a row, Fluid Branding have won the prestigious Distributor of the Year Award from Sourcing City! It is a great honour to be recognised in this way, and we are hugely proud of this achievement! "This is an incredible achievement and I’m very proud of our team!" says Managing Director Miles Lovegrove. "It is down to the creativity we display, the service we provide and a damn load of hard work as well! A massive thank you from me to the whole team and to all of our suppliers who voted for us, this is a huge pat on the back for us and sets us up brilliantly for our plans for 2019!" Our commitment to customer service and building strong supplier relationships is a constant priority - an attitude which has been confirmed and rewarded by winning this award for the third year. The 2017 BPMA Awards celebrate commitment, outstanding service and continued professionalism in the promotional products industry. 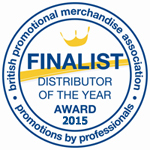 The Distributor of the Year award is voted for by Suppliers in the British Promotional Merchandise Association. "It truly is an honour to be voted first in this category," says Fluid's Managing Director Miles Lovegrove. "The fact that it's voted for by suppliers themselves really shows that we are committed to what we do, and that we're pretty good at it, too! The entire team work tirelessly to make sure that Fluid Branding is a well-oiled machine, and our relationship with suppliers and clients alike is testament to that." 2017's Sourcing City Awards saw Fluid Branding taking the top spot for the second year in a row! The Sourcing City Awards have been going for over a decade now, and are the chance for distributors and suppliers to vote on their top organisations to work with. Each supplier or distributor has three votes to put towards the company they value the most. Fluid Branding also won Marketing Campaign of the Year 2017 at the BPMA Awards. The Marketing Campaign of the Year award is voted for by an independent panel of judges, and is awarded to companies that have produced an integrated marketing campaign that not only uses creative and innovative ideas, but delivers an exemplary return on investment. Fluid Branding won for their campaign The London Merchandise Show 2017, which was held at Stables Market in Camden on June 1st, 2017. The show utilised multiple platforms to engage users and sign up attendees, and used a 'market stall' theme on the day where our industry experts offered advice and guidance on attendees' brand campaigns. 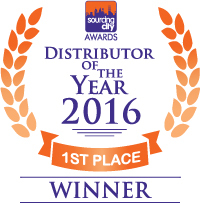 The Annual Sourcing City Awards 2016 saw Fluid Branding taking the top spot and winning Distributor of the Year. As with last year's win, we are hugely proud of this achievement! Now in it's tenth year, these estimable awards are a chance for suppliers and distributors to vote on their top organisations to work with. The British Promotional Merchandise Association's Annual Awards dinner is a prestigious event within our industry, and this year was no exception. Held at the famous Silverstone Circuit in Towcester, Northamptonshire, the event was held during Promotional Products Week and offers recognition for achievement and excellence in the promotional merchandise industry. We are hugely proud to announce that we won the Marketing Campaign of the Year Award for our pioneering customer loyalty programme - Fluid Rewards. The first of its kind in our industry, the programme allows registered clients to earn points from their orders, and exchange these points for a huge choice of rewards. You can register for Fluid Rewards by clicking here. ...as if the Marketing Campaign of the Year award wasn't enough, our very own Vicki Crosby, Sales Director of our Manchester office, won the Professional Development Student of the Year award, too! Vicki is the first ever person in the industry to achieve a Master in Promotional Merchandise qualification via the bpma's Professional Development Programme, and we are very proud to have her on the team! The Professional Development Programme covers everything from product knowledge and print techniques to processes and sourcing, ensuring we have the skills to provide clients with the best knowledge and solutions. You can read more about the qualifications our team members hold by clicking here. The Annual Awards from Sourcing City are well established within the promotional merchandise industry, and have been running for eight years. They are highly regarded as demonstrating how highly Distributors and Suppliers think of one another, and this year saw a record number of votes. 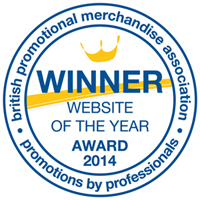 Once again, Fluid Branding won the prestigious Website of the Year Award at the BPMA Annual Conference. Judged by an expert panel, websites were looking for high quality relevant design, engaging and relevant content delivered in a variety of ways, and innovative technological features that enhance the web experience. 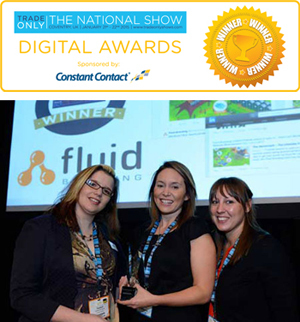 One of the judges, Kelly-Ann Burns of SVM Europe, commented "Fluid maintain a wonderful website design – simple, clear and fully faithful to the brand. The webpage is responsive and provides excellent features..."
Organised and presented by Cornwall Development Company in association with Business Cornwall Magazine and the Cornwall Chamber, the awards are a celebration of innovation, achievement and entrepreneurial spirit within the Cornish Business community. Organised and presented by Incentive & Motivatation magazine in association with Motivate Europe Live. The British Promotional Merchandise Awards represent the highest achieving businesses within the Promotional Products industry. 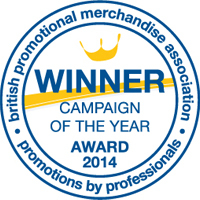 The BPMA Awards provide well deserved recognition for achievement and excellence within the Promotional Merchandise industry, celebrating and rewarding the professionalism, outstanding service and commitment of our members. This award is decided by the industry who are invited to vote for each of the award categories. This award is decided by an independent marketing panel and finalists were invited to present their campaign to the panel at the BPMA HQ in London. The BPMA Building a Better Business Awards at the BPMA Annual Conference are a celebration of the highest achieving businesses in the Promotional Merchandise industry. British Promotional Merchandise Awards represent the highest achieving businesses within the Promotional Products industry. The BPMA Awards provide well deserved recognition for achievement and excellence within the Promotional Merchandise industry, celebrating and rewarding the professionalism, outstanding service and commitment of our members. 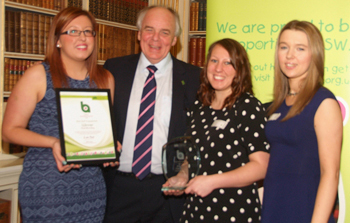 Fluid Branding won the award for Best Staff Engagement at the 2013 Children's Hospice South West Business Awards. Our team took part in many activities to raise money for the charity including the CHSW Corporate Challenge, Barcelona or Bust Banger Rally, Plymouth 10k run, Santa Fun Run and the Moonlight Memory walk in Falmouth.